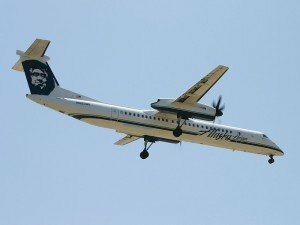 The Federal Aviation Administration (FAA) is proposing a $445,125 civil penalty against Horizon Air for allegedly operating a Bombardier DHC-8-400 aircraft on 45 flights when it was not in compliance with Federal Aviation Regulations. The FAA alleges Horizon failed to comply with an airworthiness directive (AD) that required the airline to inspect for cracked or corroded engine nacelle fittings on its DHC-8-402Q Dash 8 aircraft. The AD, with an effective date of March 17, 2011, ordered inspections of the nacelles every 300 operating hours, and repairs as needed. Between March 17 and 23, 2011, Horizon operated the aircraft on at least 45 revenue passenger flights when it had accumulated more than 300 hours of flight time since its last inspection. Horizon has 30 days from the receipt of the FAA’s enforcement letter to respond to the agency.